Placing a loved one in a long-term care facility is often one of the hardest decisions a family must make. As our population has aged, the number and type of these facilities have increased to accommodate the need. There are active adult communities, assisted living centers, special care units (memory care, palliative care, and others), nursing care facilities, residential care and specialized facilities for Alzheimer’s and dementia patients. Also available are progressive care campuses that offer residents a continuum from independent living through full nursing care. 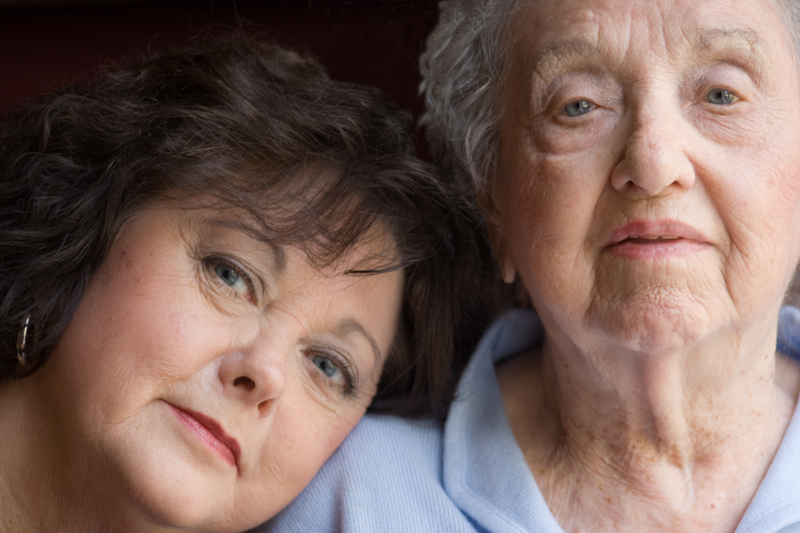 North Carolina adult care facilities are licensed and inspected by the state. There is a star rating system based on the annual inspection results. You may search by county, city or facility name. This is a good place to start but should not be the only factor in your decision. The search page is located at http://www.ncdhhs.gov/dhsr/acls/star/search.asp. Look at Medicaid’s nursing home comparison tool located at http://medicare.gov/nursinghomecompare/search.html. You can choose up to three facilities to compare. Note: Medicare is implementing a new star rating system. You can find a thorough explanation of the new rating system and how to review the facilities in comparison to the current star system. Tour the facility at least once, preferably more than once and at different times of the day and different days of the week. Look, listen and smell as you go through the facility. Ask to see copies of inspection reports for the last year. If you can speak with workers, residents or other visitors about the facility they may provide some unique input. A list of adult care homes in North Carolina can be found at http://www.ncdhhs.gov/dhsr/data/ahlist.pdf. Check with the county Department of Social Services where the facility is located and ask them to detail the services provided and give you information about any complaints within the last three years. North Carolina also has Regional Long-Term Care Ombudsmen who are responsible for advocating on behalf of facility residents. They are a good source of information. Google the facility, but don’t believe everything you read online. Look for trends or recent news about the facility. Check out some of the rating websites like A Place for Mom or Senior Advisor. Ask your loved one’s doctor(s). Many doctors who handle a lot of elderly patients will know which facilities are the best in the area. Not all long-term care facilities accept Medicaid patients and those that do may have limited beds, especially if your loved one is entering directly from home rather than remaining after a stay for purposes of rehabilitation after a hospital discharge under Medicare. If this is important to you, ask up front so you don’t waste time. If funds are short and your loved one may transition from private pay to Medicaid within the near future, also ask if your loved one would be guaranteed a bed at that time. If not, you may end up having to move your loved one to a different facility, resulting in more stress for both of you. Ask questions about payment options. Many assisted living and continuing care facilities require you to “buy-in” to the facility. You may wish to have an elder law attorney or financial advisor look over the terms of the agreement before you sign anything, as some agreements contain prohibitions against making transfers of assets to family. Many have large deposits that are not refundable. Be cautious about the capacity in which you sign on behalf of a loved one to be the “financially responsible person” concerning the resident’s cost of care. If you are signing as “attorney-in-fact” make sure that is clear from the manner in which you sign any documents. Check the Better Business Bureau in the city where the facility is located. Not all are listed, but many are. Consider a facility that offers a full continuum of care through skilled nursing care so that as your loved one’s needs change, they are not required to move to another unfamiliar facility to obtain the level of care they may need. If you anticipate your loved one may require placement into a long-term care facility following a hospital stay, be sure that the patient is identified as an “inpatient” and not “outpatient for observation” at the hospital and, if possible, that their stay is at least 3 days before discharge. These are the prerequisites for Medicare coverage for a nursing home placement following discharge from a hospital for rehabilitation purposes. Have this discussion with the hospital upon admittance. Finally, we recommend talking to other people you know who may have faced the same decision and get their opinion of the facility where their loved one receives (or received) care. Ask friends, co-workers, your clergy person or members of other regional groups to which you belong. Moving into a long-term care facility can be a difficult transition for the individual and for family members, even in situations where everyone agrees ahead of time that it’s necessary. Expect an adjustment period on both sides. We also recommend you visit as often as possible and continue to monitor the quality of care your loved one receives. If you see any signs at all of abuse, act immediately. Visit the U.S. Administration on Aging for a listing of signs of abuse and neglect. Need to learn more? Contact an elder law attorney at Brinkley Walser Stoner today to schedule an appointment.